FieldLynx is a FinishLynx-compatible software application for the scoring and administration of field events in athletics (track & field). 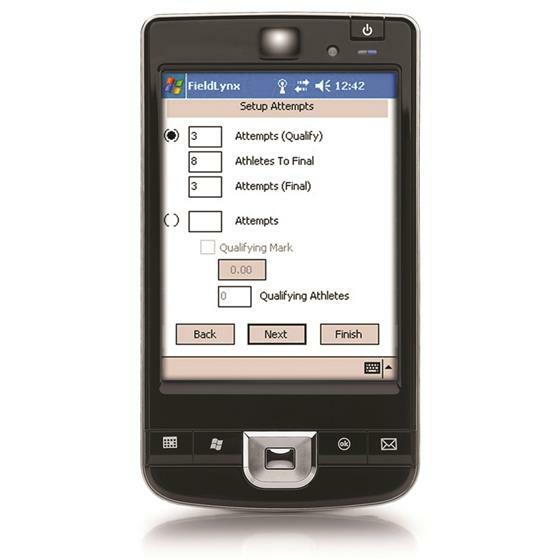 The FieldLynx software connects with your meet management software and allows operators to access athlete listings, score events, and instantly upload results to any computers or scoreboards on the FinishLynx network. Data entry is simple and intuitive and the software easily converts marks between Metric and Imperial measurements. Share live event data across your network so you never have to retype athlete info and results again. FieldLynx offers the complete field results production in the palm of your hand. Adding FieldLynx to any fully automatic timing network will enhance the speed, efficiency and quality of your athletics field events. 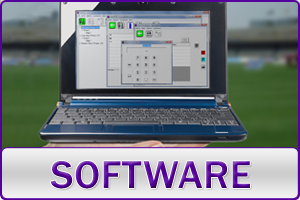 The FieldLynx software allows users to interface seamlessly with devices and applications across the venue, including LaserLynx EDM units, scoreboards, wind gauges, and most track and field database applications. With FieldLynx, field event results can be entered directly to a Windows-based mobile device and shared instantly with scoreboards, officials, or announcers throughout the venue. Five Alive Groups. Automatically generates “Alive” group for 3, 4, or 5 alive groupings. Can reconfigure groups as necessary. Metric/English Conversion. Single-click, bi-directional conversions of athlete marks between English and Metric measurements. Many netbooks and mobile devices can communicate wirelessly on an AirLynx wireless network. FieldLynx devices can also interface with a range of devices simultaneously through a single serial port by connecting to a SeriaLynx unit. When combined with SeriaLynx, FieldLynx mobile devices can connect with LaserLynx distance measurement devices, wind gauges, and compatible scoreboards and displays. SeriaLynx devices can even be combined with AirLynx so devices can connect and share data wirelessly. There is no more struggling to read handwritten notes on soggy paper or re-typing athlete data multiple times during an event. Use FieldLynx to import, export, and share event data effortlessly using .lff files. Connect officials, timers, and event administrators with secure event data by building a powerful FinishLynx results network at your venue. Competition Elite Package: adds 1 Ultrasonic Wind Gauge with Battery Pack, 1 (7-Digit) 10” LED Display with Tripod, 2 Wireless SeriaLynx units (RS232 to Ethernet convertors), scoreboard and wind gauge interfaces for Fieldlynx software. Grand Prix ELITE Package: 6x Windows Netbook Computers, 6x Seats of FieldLynx Field Event Software, Scoreboard Interface FieldLynx Plug-in, Wind Gauge Interface FieldLynx Plug-in, LaserLynx Interface FieldLynx Plug-in, 1 Seat of ClerkLynx Remote Clerking Tool, NetExchange Field Event Server License, 4x ResulTV Display Software License, 2x Ultrasonic Wind Gauge Kit & Battery Pack, AirLynx Wireless 802.11 Gateway and Amplified Antenna Kit, 2x Wireless SeriaLynx units, 2x LaserLynx PRO Electronic Distance Measurement System, 6x (4-Digit) 6” LED Wind Gauge Display & Countdown Timer, 4x 3-Sided 336x168-pixel LED Video Display, 4x Wheel Assembly for 3-sided Displays.